Thought I could make something interesting for people to read and, something to keep me entertained. Winter is coming and I can hammer some RS while I am (currently) off work and being antisocial (also to save money before I move to oz next ~feb). 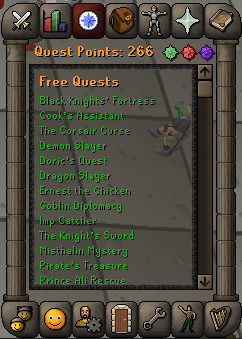 Big milestone in the game!! 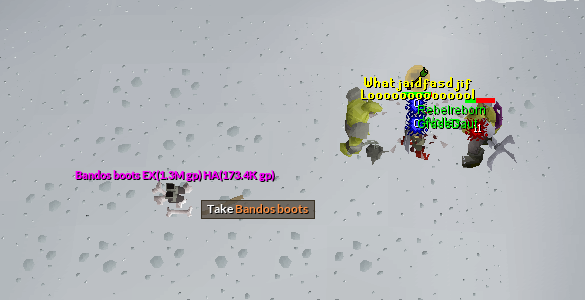 First kill took 2hours and then 5th kill was around 3.5 hours. I am a massive visual learner so actually turns out I picked it up pretty fast imo. Really impressive. 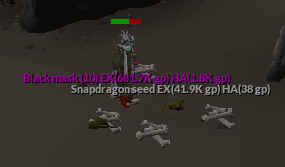 I remember my first kill took about 80 deaths. 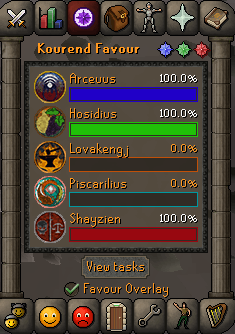 Haven't been back to Zulrah yet. I'll be sure to start checking out this thread for updates GL on the grinds! 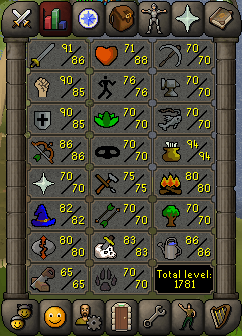 70 Thieving, another short term goal done in a few hours. Was putting this off for months but finally pulled myself together and did it. 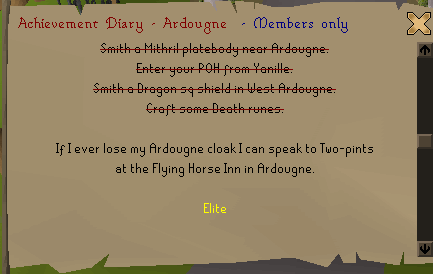 Ardy knights wasn't even that bad at all. 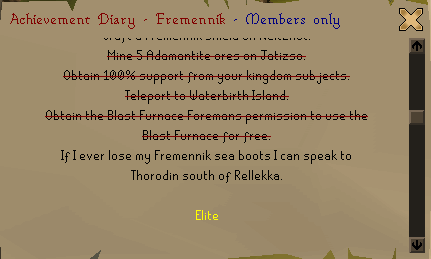 Now to finish ardy & fremmy hard and spend some time tanning hides for $ and 85 magic. 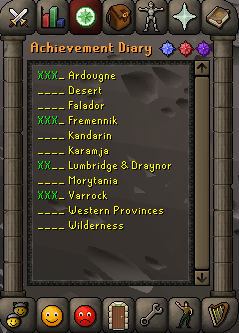 Really nice progress, keep it up. I love watching people's progress. I wish more people would do this HINT HINT. Keep up the good work - and I will keep cheering you on. @Auriana wrote: I love watching people's progress. I wish more people would do this HINT HINT. So true!! There isn't enough on this site which is why I update mine so much. Couple more goals done in the past 48hrs. 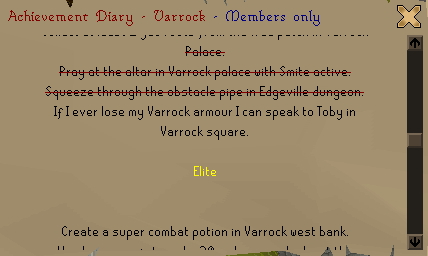 Varrock hards - adding hard diaries to my goals. nice mate, good luck with all of this! don't forget to keep the post updated so we can follow your progress! and also don't hesitate to ask for help if needed. 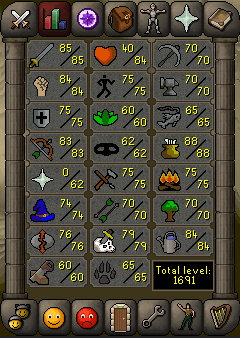 Also hit 81 magic today. Tanning hides because I desperately want 85 mage, I won't complain with 100k xp and 400k+ gp an hour. So much progress, so little time!!! you robot!